Description --------------- • 100% hand and heart-made products. • Materials is clear soft case (silicone border / plastic back). • Unique and protective design for your phone. • Glitter was covering by clear epoxy resin about 2-3 layers. • Glossy, water proof and smooth surface. • Glitters never peel off. Remarks: • Products on hand are sparkle than the advertising photos and could change in a difference lights e.g., in-door, out-door, sunlight, neon lights, day or night. 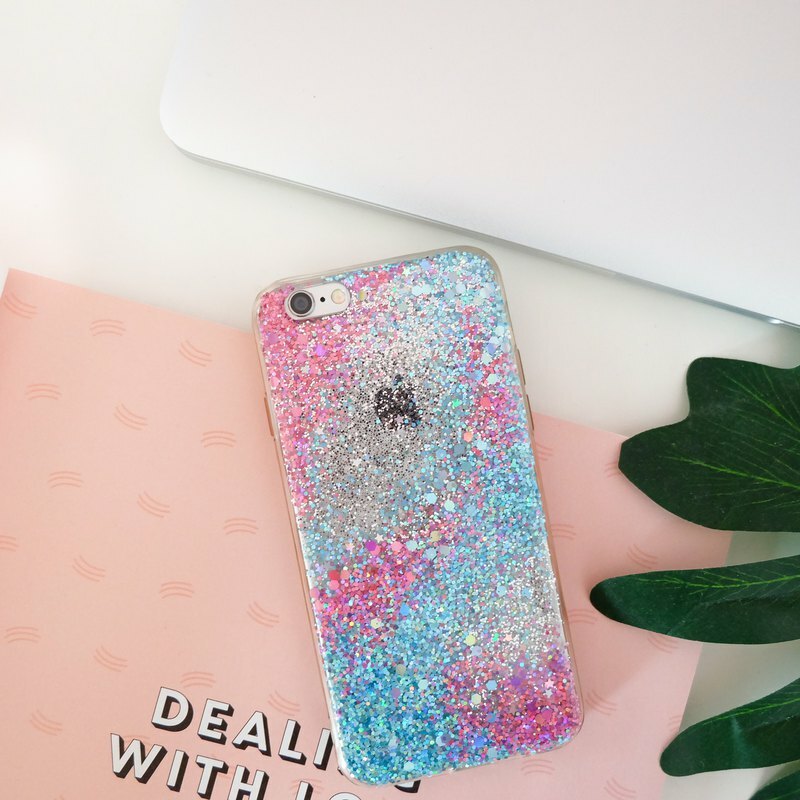 • Products from this shop is "NOT" liquid glitter case, glitters cannot move. • This shop is selling phone case only. Phone is not included. • By purchasing this products, you agree that you have read, understand, and agree to the shop policy. Available models --------------------- • iPhone XS Max, XS, XR, X, 8Plus, 8, 7Plus, 7, 6SPlus/6Plus, 6S/6 • Samsung Note9, Note8, S9Plus, S9 Shipping time ----------------- • **EMS** by Thailand Post __Only for address in Thailand__ Estimate shipping time 1-3 days • **DHL Global Mail** (with tracking reference) __International Shipping__ Estimate shipping time as following .. Asia Pacific: 1-2 weeks Australia, New Zealand and Oceania: 2-4 weeks Europe: 2-4 weeks Latin America and the Caribbean: 2-4 weeks North Africa and the Middle East: 2-4 weeks North America: 2-4 weeks United Kingdom: 2-4 weeks United States: 2-4 weeks • **DHL Express** (with tracking reference) __Special Service__ Estimate shipping time as following Asia Pacific: 1-2 days Australia, New Zealand and Oceania: 2-5 days Europe: 2-5 days Latin America and the Caribbean: 2-5 days North Africa and the Middle East: 2-5 days North America: 2-5 days United Kingdom: 2-5 days United States: 2-5 days *Buyers are responsible for any customs and import taxes that may apply. * *I'm not responsible for delays due to Customs. * FAQ: ------- Q: When my package will be shipped? A: Please be noted that this is 'made-to-order'. Your package will be shipped during 3-5 days after purchased (except holiday). I use DHL's service (Global Mail) as a standard shipping method and also provide for the tracking reference for your reference. **For making sure please re-check your shipping address on Pinkoi is correct** Q: Item is defective or damage. A: Item is defective or damage due to the shipping process. Please contact me and provide for the photos of damage item as much as you could, within 12 hours after receiving your item. I would only replace or refund in case they are defective or damaged due to the shipping process. Q: Package returning to sender. A: It is non refundable if packages/parcels are returned to sender in these cases no recipients, unclaimed or wrong address (Arising from customers' errors). Resend shipping cost will be customers' responsibility. Q: Package is missing or delayed. A: I will do my best to meet these shipping estimates, but cannot guarantee them. Actual delivery time will depend on the shipping method, Custom process and unseen factors. When your package not arrive within the estimate time. Please contact me as soon as possible. Once I got a confirmation that the package was lost. I will refund in full amount (including shipping cost). Q: Product looks a little bit different from the advertising photos. A: All advertising photos are takes from a real product. Please kindly understand that the glitters will have sparkling colors in difference light, in-door, out-door, day or night. Also the advertising photos may have variations due to lighting, screen resolution from your computer or mobile. Q: Accidentally ordered the wrong device or design. A: Please do not worry and kindly contact me as soon as possible. I will make correct one for you If I not yet shipped out your products. Q: Custom and personalized orders A: Absolutely! Please just send me a message.